Availability: ​Note: This item cannot be included in your free shipping total. 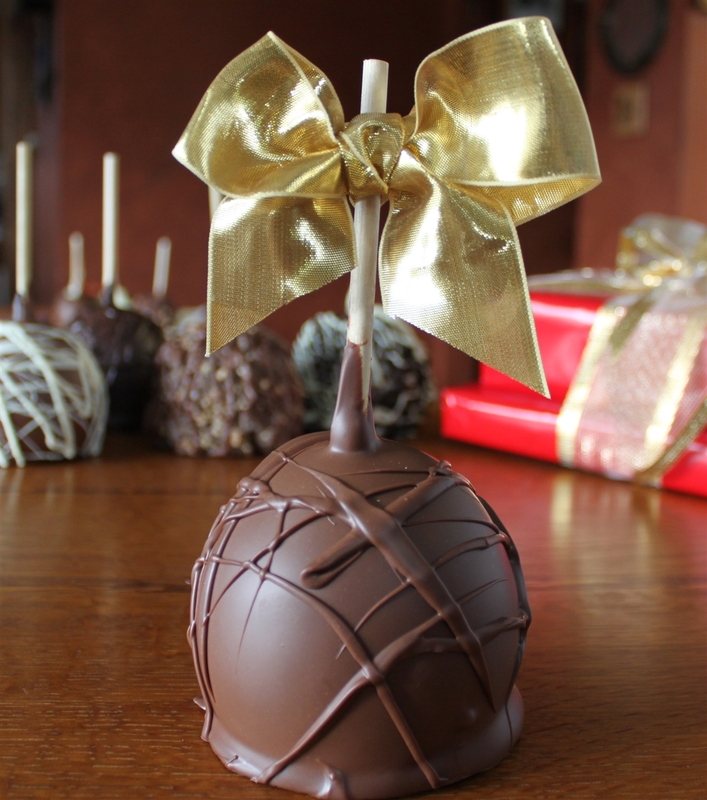 A delicious milk chocolate dipped caramel apple. 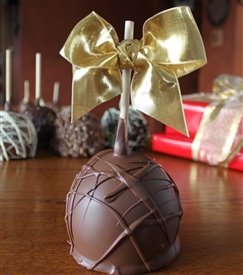 We start with a Granny Smith grown right here in the USA.Then we insert an American hardwood stick, grown in the hills of North Carolina and provided by a family owned lumber mill that specializes in food grade wooden stick for lollypops and candy apples. Then we make a batch of buttery caramel and then after it cools a bit- we dunk this is our top-of-the-line Chocolate! We swirl some more on for effect and beauty, and into a cello bag with a decorative ribbon it goes! Made fresh every day- one of our top sellers! Note: This item cannot be included in your free shipping total.